is S O L D O U T! You're the best! We are excited to return to ulmer.zelt after seven long years...and we bring the Big Band! We’re excited! First it was planned as a one-time thing. 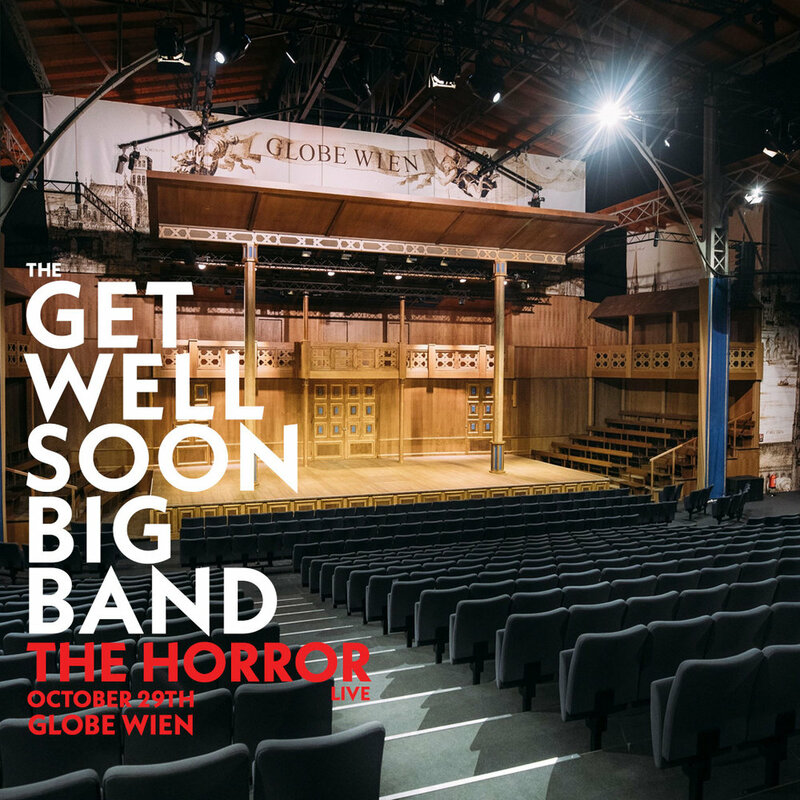 The orchestra of the Nationaltheater Mannheim debuts the re-arranged second Get Well Soon album “Vexations” as an orchester piece with Konstantin and Verena on vocals. But thanks to you the demand was so grand (😘) that it will be performed a 2nd time with the wonderful Filmorchester Babelsberg at Nikolaisaal Potsdam. Dear Friends! Only hours remaining of 2018. And what a year we‘ve had! Too many Thank Yous are in order - that’s going to keep us busy for the next couple of days. So let‘s start with „The End“. And then: have a great start of 2019!! !